There is little doubt that receiving positive reviews from customers are a major driving force in successful marketing. Researchers tell us that a whopping 97 percent of consumers read reviews about local businesses, with 82 percent reading reviews because they intend to make a purchase in the very near future. It follows that the more glowing reviews about our business, the better – right? Not exactly. Here’s why. What’s Wrong with Having Too Many Positive Reviews? If good reviews are such an important factor in influencing consumers, what could possibly be wrong with swamping the search results pages with a tidal wave of 5-star positive reviews? The problem is that they simply make us sound too good to be true. To borrow a line from Google’s backlink playbook, too many good reviews gives the appearance of an unnaturally occurring event. Fuelling the credibility fire is the fact that a number of businesses have actually tried to game the system, going overboard with glowing reviews that are obvious fakes. A handful of these marketers have been called out and hit with fines and other legal sanctions. Unfortunately, they’re not the only ones paying the price. Fake reviews hurt everybody by shaking consumer confidence in the review process. Studies have found that 95 percent of review readers begin to suspect a company of faking reviews when the reviews are running 100 percent positive. It’s simply not believable that anybody can be perfect all of the time. In short, fake reviews devalue legitimate positive reviews. They unfairly taint our reputation in the marketplace, and can actually discourage customers from buying from us. 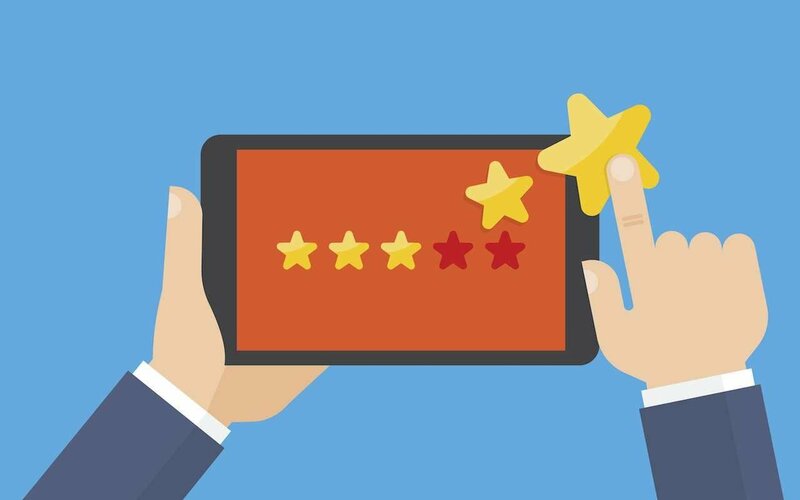 Google knows how important good reviews are to the consumer buying experience, and will reward us accordingly with better rankings in the search results. Google also knows that even the best marketers who provide excellent customer service will occasionally receive less than stellar reviews. It’s all part of the customer feedback process. A bad review can result from the occasional mistake, from a customer with an unfair or unrealistic ax to grind, or even from a disgruntled former employee or an unscrupulous competitor. The point is, things go wrong in an imperfect world and Google knows this. That’s why you sometimes see a website with a lower overall review score rank above another site with higher review scores. Too many reviews coming from the same IP address. Too many reviews coming in over a short period of time. Natural appearing review language that varies from each review. Natural appearing review scores that vary from each review. According to the online review experts at Reevoo, 68 percent of consumers place more trust in reviews when they include good as well as poor review scores. A mix of the good with the bad actually helps boost the legitimacy of the company being reviewed. While younger audiences appear to be more accepting of a few bad reviews, your focus should be on presenting a balanced review profile. If your profile includes no more than 10 percent poor reviews mixed in with a range of good to excellent reviews, your overall review profile will be seen as more natural appearing and legitimate to customers as well as the search engines. Handling poor reviews in a public forum is an excellent way to showcase your customer service skills for potential customers. They don’t expect you to be perfect, but they do expect you to deal with customer issues and complaints in an ethical, fair, and prompt manner. Whether the situation calls for an apology, a refund, or a review of policy, you have a chance to win hearts and minds (and maybe sales!) with your response to a less than perfect situation. Start by ensuring that each of your employees understands the importance of providing an excellent customer experience and collecting honest feedback about your products and service. Make sure they have the tools needed to encourage customer reviews such as feedback forms and pre-printed cards with links to popular review sites. Never pay outright for reviews. It’s generally okay to offer an incentive such as a coupon along with your request for a review. Encourage honest reviews – good or bad. Conduct an email outreach within a day or two of purchase requesting an honest review. Whenever possible, gently direct your customers to a variety of review options. Too many reviews on one review site or platform is not natural appearing and might raise some eyebrows. Need Help with Your Customer Review Program? We hope that this article has challenged you to examine your own review gathering efforts. If you have questions or need a hand getting started, please call or drop us an email. As a cutting-edge management and full service digital marketing agency, we have the resources and the experience to get you going in the right direction.